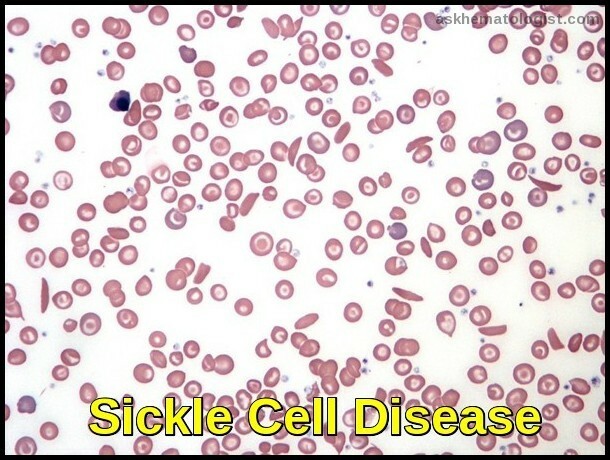 Sickle cell disease (HbS) is a severe hereditary form of anemia in which a mutated form of hemoglobin distorts the red blood cells (RBC’s) into a crescent shape at low oxygen levels. Sickle cell disease (HbS) is commonest among those of African descent. In this disease, a single base mutation in the β-globin gene leads to the substitution of valine for glutamine at the 6th amino acid position of the β-globin chain. High levels of deoxygenated sickle Hb form reversible fibrils leading to sickling of the red cells. The abnormal Hb SS is prone to form tactoids with crystallization in the RBC’s when oxygen tension is low, and the RBC’s change shape to long, thin sickle cells that are “sticky” and sludge in capillaries, further decreasing blood flow and oxygen tension. The sickled RBCs tend to adhere to endothelium, and the bioavailability of endothelial nitric oxide is reduced as well, further promoting vaso-occlusion. The heterozygous state (Sickle Cell Trait – HbAS) is usually asymptomatic, although problems may arise with anesthesia (hypoxia). People who inherit one sickle cell gene and one normal gene have sickle cell trait (SCT). People with SCT usually do not have any of the symptoms of sickle cell disease (SCD), but they can pass the trait on to their children. People with sickle cell trait are well, and will usually only know about their trait if they are tested for it. Pregnant women and couples planning children may want to know whether they have sickle cell trait, because if both parents have it, their child might inherit SCD. In England, tests for sickle cell trait and SCD are offered to pregnant women and newborn babies. There is no anemia and in general, people with sickle cell trait enjoy normal life spans with no medical problems related to sickle cell trait. 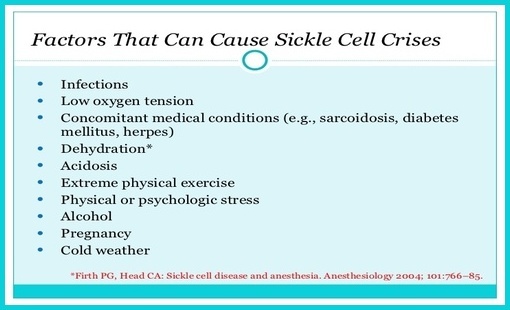 Rarely, extreme conditions such as severe dehydration and high-intensity physical activity can lead to serious health issues, including sudden death, for individuals with sickle cell trait. Vaso-occlusive crises with associated infarct pain affecting particularly the bones, joints, and abdominal organs. Aseptic femoral necrosis, dactylitis, renal damage, priapism and retinopathy all may occur. Dactylitis is severe pain that affects the bones of the hands, the feet, or both. 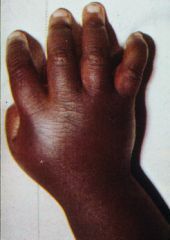 It’s often the first symptom of sickle cell disease in babies caused by blocked blood circulation. Symptoms of dactylitis include extreme pain and tenderness, usually with swelling. 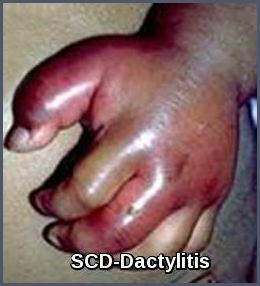 An episode of dactylitis may last 1 to 4 weeks. 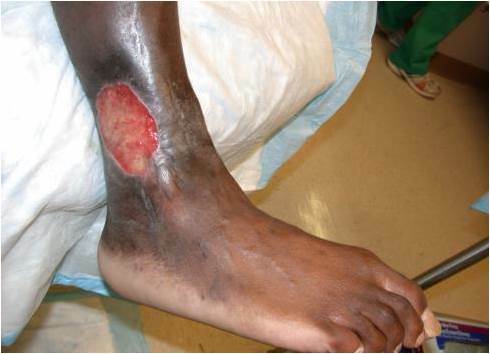 Triggers of the vaso-occlusive crisis include Hypoxemia, Dehydration: Acidosis, and Infections. 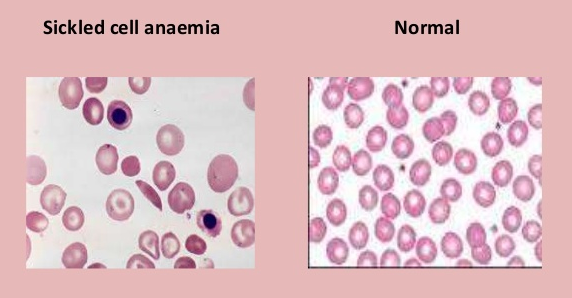 Anemia may be due to hemolysis, ‘aplastic crises‘ precipitated by parvovirus B19 infection, folate deficiency, and ‘sequestration crises‘ in the liver or spleen. Splenomegaly is common in childhood but disappears as the spleen is infarcted. Patients with SCD who have damaged spleens are at risk for serious bacterial infections that can be life-threatening. Some of these bacteria include Pneumococcus, Hemophilus influenza type B, Meningococcus, Salmonella, Staphylococcus, Chlamydia, and Mycoplasma pneumoniae. Acute chest syndrome: sickling of RBCs in blood vessels of the lungs can cause pulmonary infarcts. This condition is known as acute chest syndrome. This condition is very serious and should be treated right away at a hospital. Acute chest syndrome often starts a few days after a painful crisis begins. A lung infection may accompany acute chest syndrome. Pulmonary hypertension: increasingly recognized as a serious complication of SCD. Avascular necrosis of the femoral or humeral head due to vascular occlusion. Ophthalmologic involvement: ptosis, retinal vascular changes, proliferative retinitis. Cardiac involvement: dilation of both ventricles and the left atrium. GI involvement: cholelithiasis is common in children; liver may become involved. GU involvement: kidneys lose concentrating capacity. The blood appears normal in sickle cell trait, although the sickle screening test is positive. 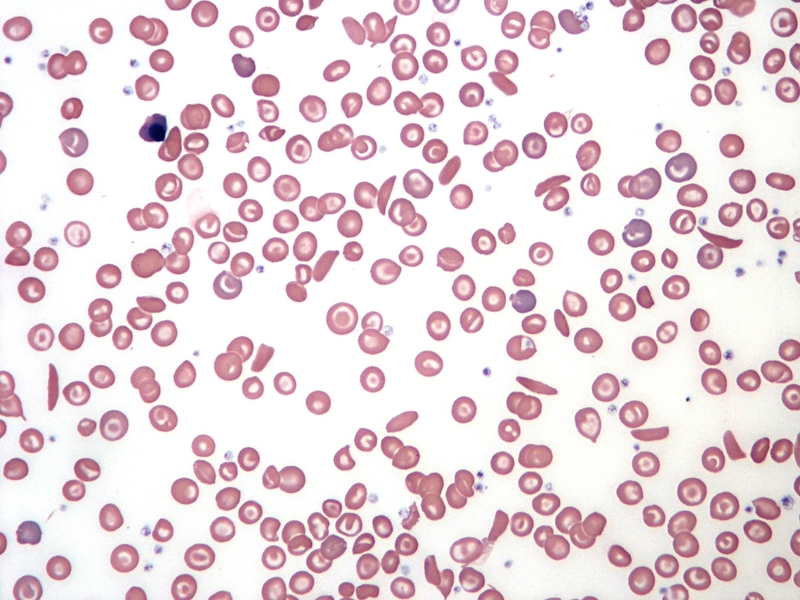 Sickle cell disease is suggested by the typical clinical picture of chronic hemolytic anemia with reticulocytes and sickle cells on the peripheral blood film, and vaso-occlusive crisis. Electrophoresis confirms the diagnosis with the presence of homozygous HbSS (no HbA) and can also document other hemoglobinopathies (eg, HbSC, HbS-beta+ thalassemia). FBC with differential and reticulocyte count. Renal function (creatinine, urea, urinalysis). LFTs (ALT, indirect and direct bilirubin). Pulmonary function tests (transcutaneous O 2 saturation). CSF examination: Consider LP in febrile children who appear toxic and in those with neurologic findings (eg, neck stiffness, + Brudzinski/Kernig signs, focal deficits); consider CT brain scanning before performing LP. N.B. Mandatory screening for HbS at birth in the United States; prenatal testing can be obtained via chorionic villus sampling. Prevention of Crises: patients with SCD should avoid dehydration, hypoxia, acidosis or cold. Infections should be treated promptly. 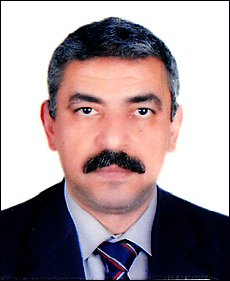 Crises are treated by rest, rehydration, management of underlying infection and complications, and administration of analgesics. Oxygen supplementation helps only if the patient has hypoxia. 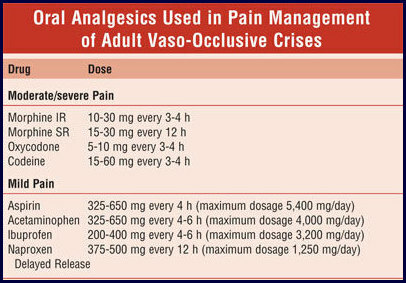 Rapid initiation of opioids for the treatment of severe pain associated with a vaso-occlusive crisis is highly recommended. Patient-controlled analgesia (PCA) is a method of safely administering strong opioids which is controlled by the patient (or a nurse for nurse-controlled analgesia). Blood transfusion is indicated in severely affected individuals. Preoperative transfusion therapy should be used to increase hemoglobin levels to 10 g/dL. With continued transfusion, iron overload inevitably develops and can result in heart and liver failure and multiple other complications. Deferasirox (Exjade) has a capacity similar to desferrioxamine (Desferal) in chelating iron, but it is administered orally. Renal toxicity might be a limiting factor in its use, but it is generally safe. Daily oral prophylactic penicillin (or erythromycin if allergic to penicillin) up to age 5. Many hematologists prefer to continue this antibiotic throughout life in patients with SCD (HbSS). There is a strong evidence supporting the efficacy of Hydroxyurea in adults with SCD. It can decrease severe painful episodes, hospitalizations, the frequency of blood transfusions, and the acute chest syndrome. Although the evidence for the efficacy of hydroxyurea treatment for children is not as strong, the emerging data are encouraging. Hydroxyurea increases total and fetal hemoglobin (HbF) in children with SCD. The increase in HbF retards sickling of RBCs. Hydroxyurea also reduces levels of circulating leucocytes, which decreases the adherence of neutrophils to the vascular endothelium. In turn, these effects reduce the incidence of pain episodes and acute chest syndrome episodes. Allogeneic Bone Marrow Transplantation (BMT) may be justified in severely affected children, particularly those who have had cerebrovascular incidents. Immunization: People with SCD should receive all recommended childhood vaccines. They should also receive additional vaccines to prevent other infections (pneumococcus, meningococcus, influenza). Sickling can arise when there is ‘sickle trait’ in association with β thalassemia. Heterozygotes may have mild sickling episodes and splenomegaly. HbSC is renowned for ocular complications. Wang WC (2009). 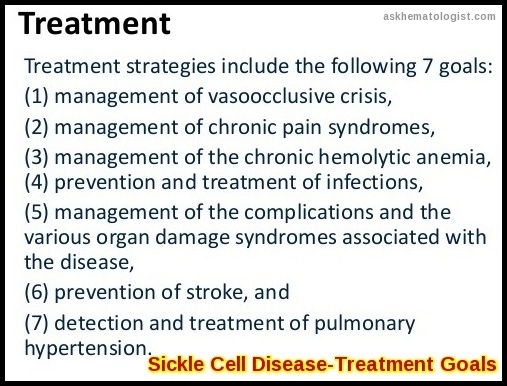 Sickle cell anemia and other sickling syndromes. In JP Greer et al., eds., Wintrobe’s Clinical Hematology, 12th ed., pp. 1038-1082. Philadelphia: Lippincott Williams and Wilkins. Brawley OW, et al. (2008). National Institutes of Health consensus development conference statement: Hydroxyurea treatment for sickle cell disease. Annals of Internal Medicine, 148(12): 932-938. Serjeant GR. Sickle cell disease. 2nd rev ed. Oxford: Oxford University Press, 1992. Ohene-Frempong K, Nkrumah FK. Sickle cell disease in Africa. In: Embury SH, Hebbel RP, Mohandas N, et al, eds. Sickle cell disease: basic principles and clinical practice. New York: Raven Press Ltd, 1994. Sickle cell disease is a severe hereditary form of anemia in which a mutated form of hemoglobin distorts the RBCs into a crescent shape at low O2 levels.